A Japanese journalist was ordered to pay ¥3.3 million to an anti-vaccine researcher, this week, after a court found her guilty of libel. The case is being taken as a major setback for those fighting misinformation surrounding vaccines. Meanwhile the Department of Veteran Affairs (VA) said they would make Janssen’s ketamine-based treatment for depression, esketamine, available to veterans in the United States. In other news, Novartis said their new MS drug would cost $88,000 a year while Gilead were accused of ripping of US taxpayers after campaigners condemned the firm for capitalising on patents for PrEP drugs owned by the US government. Our ‘Patient Experience’ feature also made it into the top ten this week as we heard from Dan Jeffries who told Pharmafocus of his experiences living with two rare diseases. 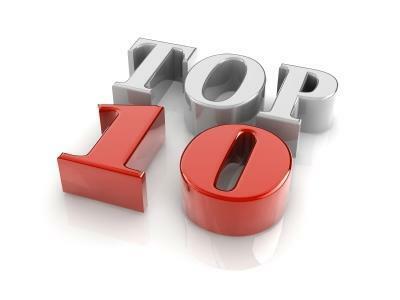 Check out this week’s ten most popular stories on Pharmafile.com! The United States Department of Veteran Affairs (VA), the federal agency responsible for providing healthcare services to military veterans, is set to make Janssen’s Spravato (esketamine) available to veterans with depression. Dr Riko Muranaka, a doctor and journalist who has campaigned against misinformation surrounding the HPV vaccine, has been ordered to pay ¥3.3 million ($30,000) in damages and legal fees to a controversial doctor who claimed the HPV vaccine was linked to neurological symptoms and brain damage. Rockland County, New York State, is taking serious measures to combat its biggest measles outbreak in decades, making the decision to ban all unvaccinated children from all public spaces. Paul Hudson, the CEO of Swiss firm Novartis Pharmaceuticals has said the company’s newly approved multiple sclerosis (MS) drug will cost $88,000 a year. Novo Nordisk has revealed new dose-specific Phase 3a data for its glucagon-like peptide-1 (GLP-1) analogue oral semaglutide, indicating that the drug achieved “superior reductions” in blood sugar, and body weight compared to MSD’s Januvia (sitagliptin 100 mg).